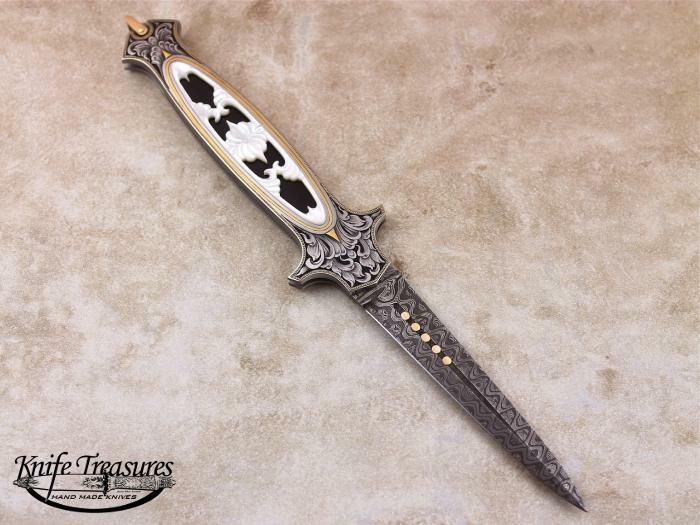 This is a beautiful custom made knife between Warren Osborne and Julie Warenski. 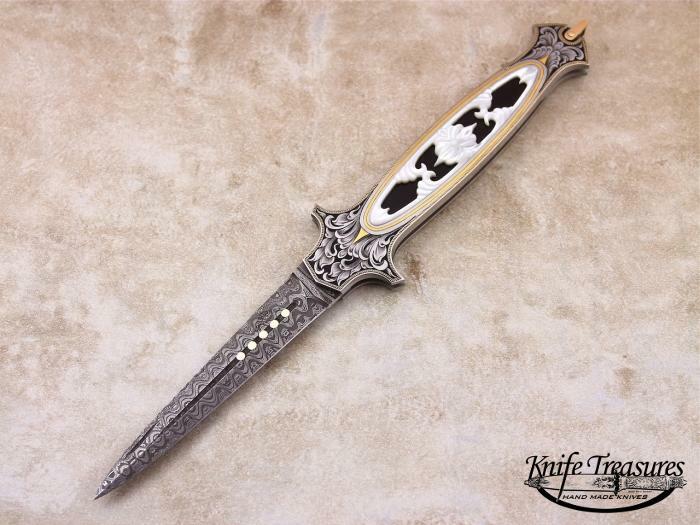 These 2 Masters got together and created this beautiful Art Knife. 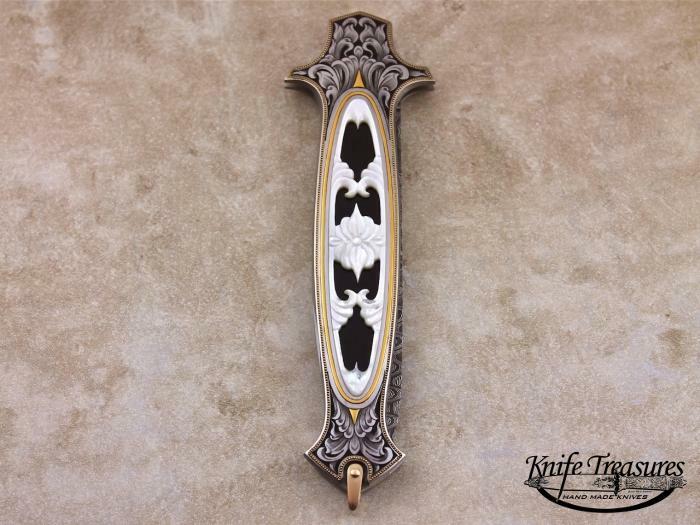 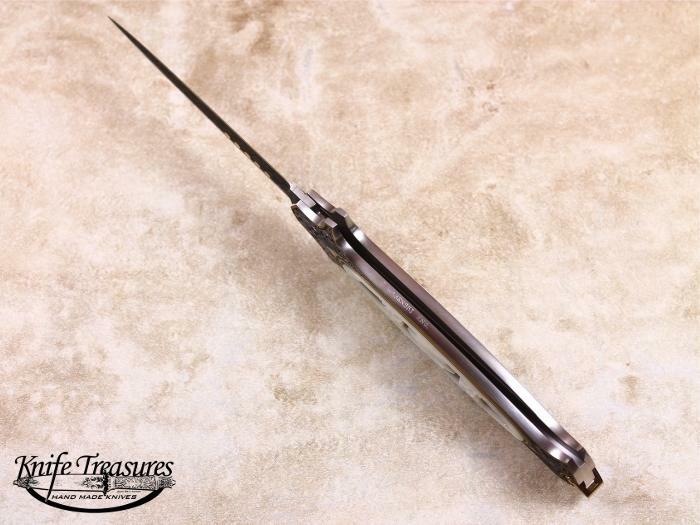 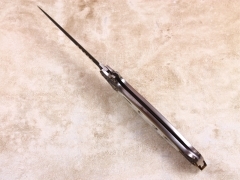 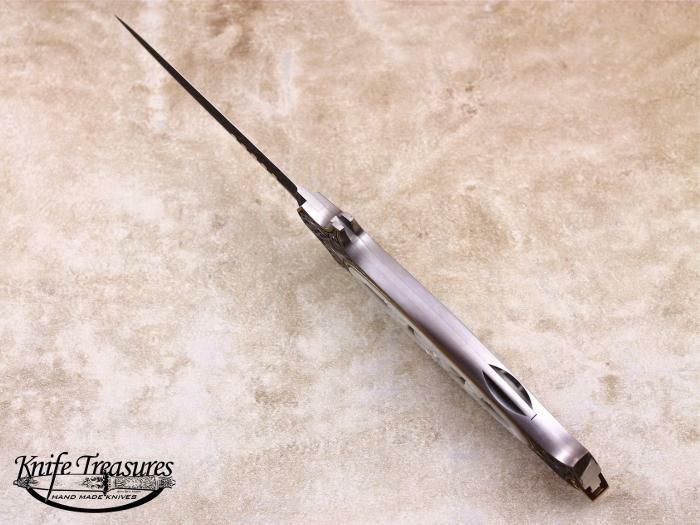 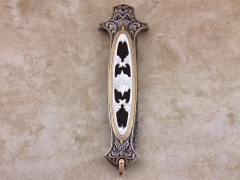 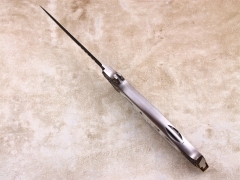 This Slim Pick Model with guards has a Black Jade inlay on each side and it is then adorned with carved Mother Of Pearl on top of it. 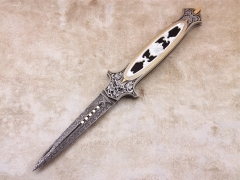 The knife has also been engraved by Julie as well. 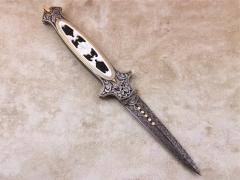 A truly beautiful knife!